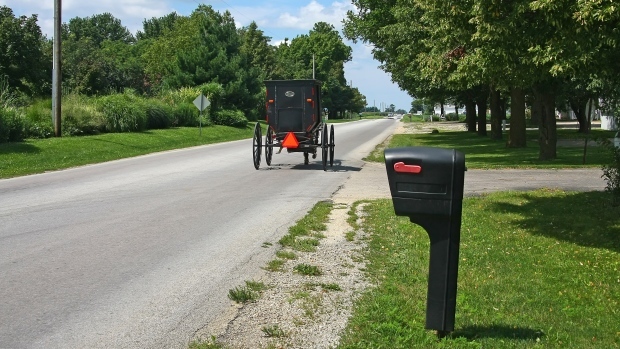 Police are warning drivers in rural Ontario to be on the lookout for slow-moving vehicles after another crash involving a horse-drawn buggy. Huron County OPP say a pickup truck failed to yield to a buggy carrying six people at an intersection north of Gorrie on Sunday. An eight-month-old boy was thrown from the carriage and taken to hospital with non-life-threatening injuries, while the other occupants suffered minor injuries. It's the second such crash in less than a week, after a pickup hit a buggy in Tilsonburg last Tuesday.